The original Aerosmith tour van is back in the spotlight. 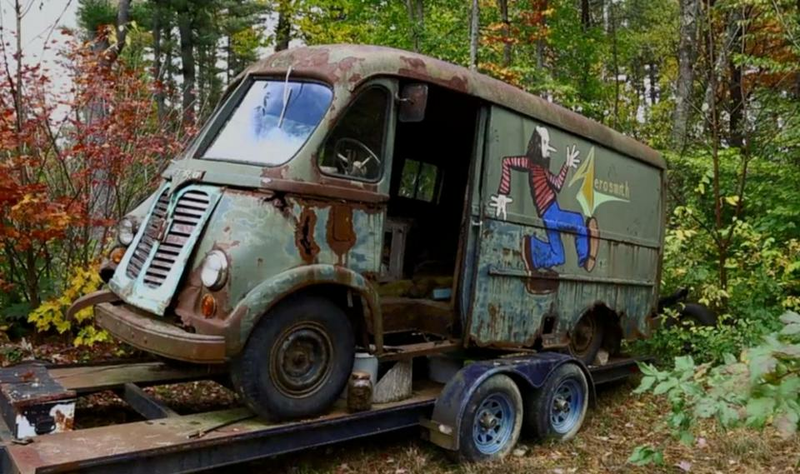 In a 2018 episode of the History Channel show “American Pickers,” stars Mike Wolfe and Frank Fritz traveled to Chesterfield to purchase the classic rock band’s original tour van for $25,000. In an episode set to air Monday at 9 p.m., Aerosmith guitarist Brad Whitford appeared on the show to check out the van’s preservation progress and share the story behind the vehicle’s eye-catching art. Standing with his son Graham, Whitford told “American Pickers” star Danielle Colby that he was 19 years old when he started riding around in the van, and explained the origin of the painting of the man on the van’s side. Whitford discussed Lehman’s role in the earliest days of Aerosmith, when the group was cruising to gigs around New England. “We didn’t have a logo or anything; this was kind of our stamp,” Whitford said of the painting of Lehman. “The roots of Aerosmith: that little painting on the side of the van. We were established. Something was taking root in the streets of Boston. Later in the episode, Colby told Wolfe and Fritz that Aerosmith was paying for all of the work being done on the van and that Whitford hoped it would be ready for the start of the group’s Las Vegas residency in April. For Whitford, the work is a fitting tribute to Lehman.